Happy Saturday, blog friends!! How has your weekend been so far? We went to a Fargo Force hockey game last night with some friends. It was fun...but the score was pretty awful. (Is it bad to say that I am really happy we didn't pay for the tickets? That would have been really disappointing, considering they lost 7 to NOTHING.) Today we have just been hanging out some. Josh is brewing beer, & our neighbors just got a new cocker spaniel puppy...so we've been over there playing with him & loving on him. He is SO cute!!! We are going to have dinner with them tonight...so I'll get some more puppy time in. Yay!! I have a card to share with you today that I created just because I wanted to! :) It's a little stampy...a little flowery....but still pretty full of my normal layers! It uses some new My Mind's Eye product, WPlus9 dies, & sentiment stamps from My Favorite Things & Flourishes. These stamps & dies are some items that I haven't used in awhile...it's so nice to dig back into your stash & bring out older items from time to time, isn't it? Here is my card! 1. 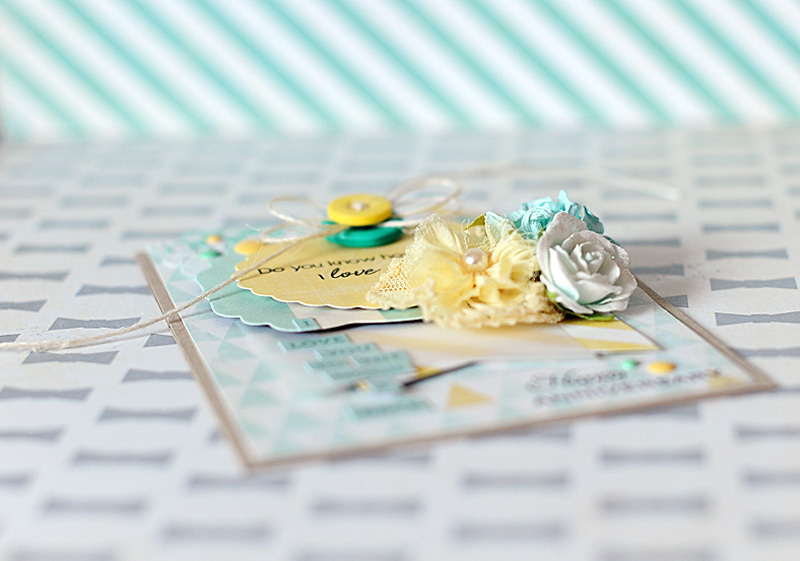 Make A2 card from kraft cardstock. 2. Cut background paper slightly smaller, then wrap a doily around the top. 3. Cut a banner from striped paper & from vellum, then layer to the top of the paper block. 4. Add a polka dot tab to the top, then zig-zag stitch along the top of the paper block. 5. Adhere the stitched paper block to the front of the card. 6. 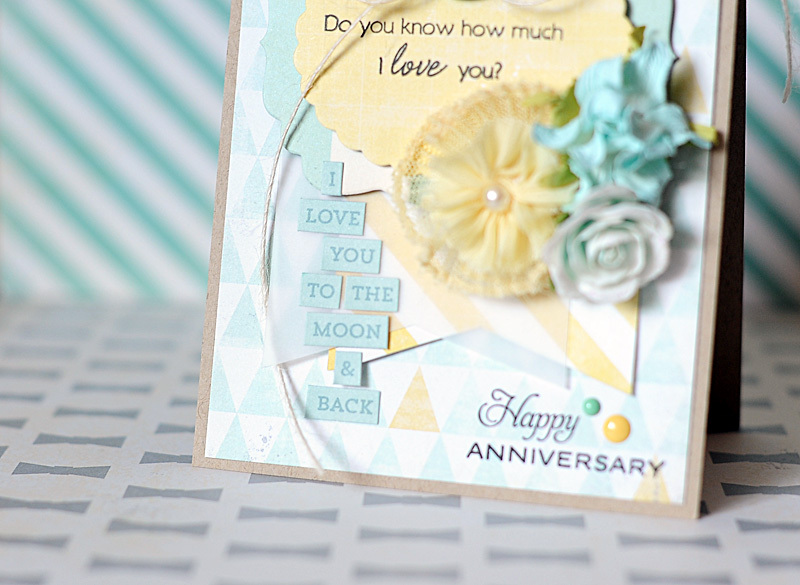 Diecut the labels from patterned papers, then stamp the sentiment to the scalloped oval. 7. Layer the labels to the top of the card using foam adhesive. 8. Stamp the rest of the sentiment to the lower right corner of the card. 9. Add the flower cluster to the bottom of the label layers. 10. Tie a double bow from twine, then layer to the top with twine threaded buttons. 11. Add the word stickers to the front, then accent with enamel dots to finish. Well, that is all I have for you today!! I hope that you have a wonderful rest of your Saturday! Enjoy!! Beautiful combination of papers, does & flowers! Such a beautiful card, Lea! Love all the layers and this pretty color combo! Wow Lea, that is one of the most beautiful cards I have seen in a long time. Makes me want to get my sewing machine out. Love the colors too! Found you via my YouTube! Thanks for stopping by. Love the beautiful layering and die-cuts. Thank you for sharing at The Kraft Journal! Absolutely lovely, Lea! Love your take on the sketch with all of your cool details. So pretty! Gorgeous dimension from the flowers and I love the color combo! This is just beautiful, Lea. 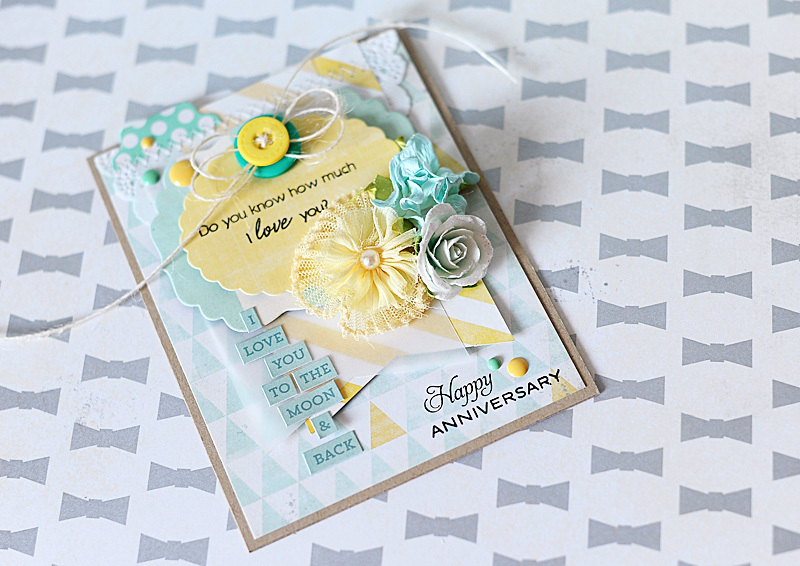 SO many sweet little touches, and I thank you SO MUCH for stopping by to share with us in our Die Cuts Challenge this week. 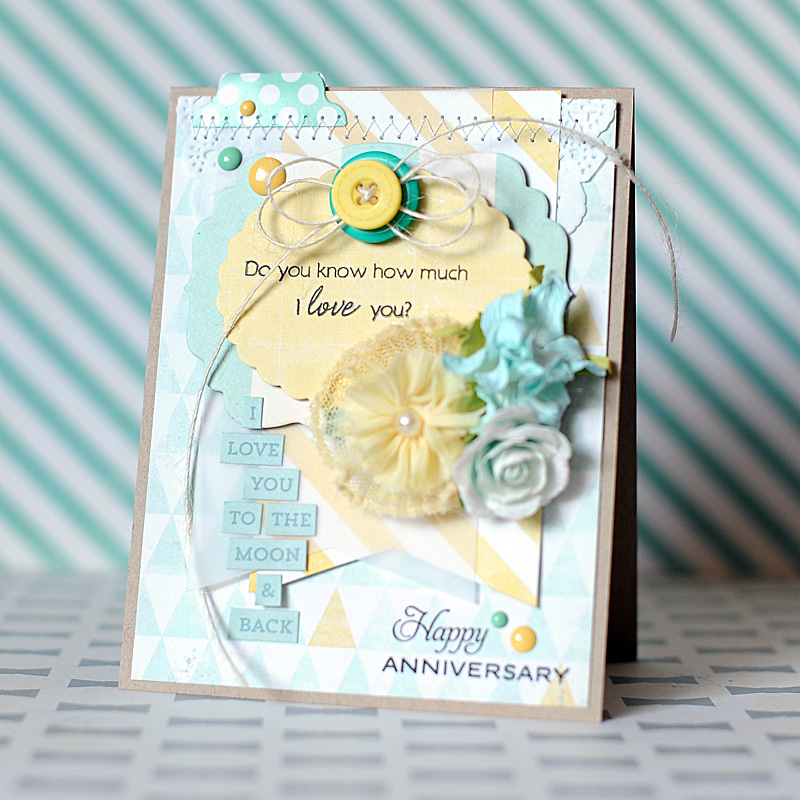 A beautiful card Lea, such gorgeous design and colour scheme. Your embellishments are fabulous, especially that stunning flower!! !